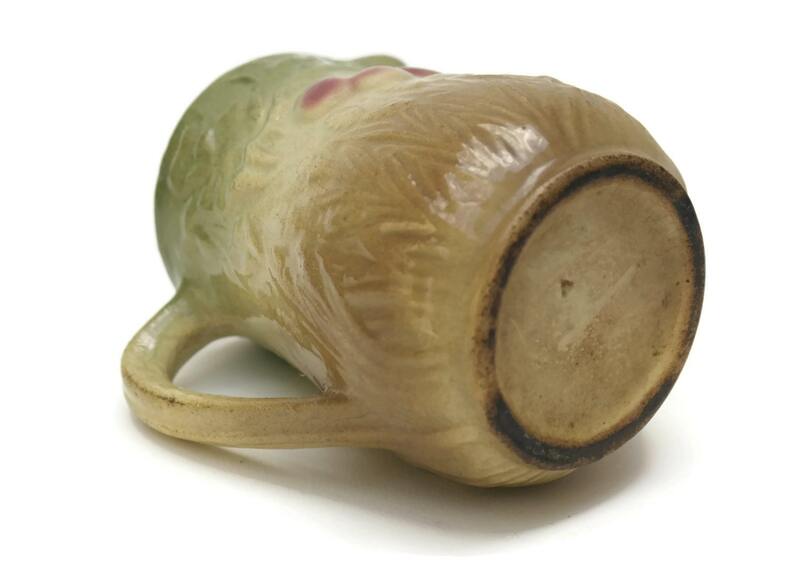 An adorable French antique majolica cherry creamer. 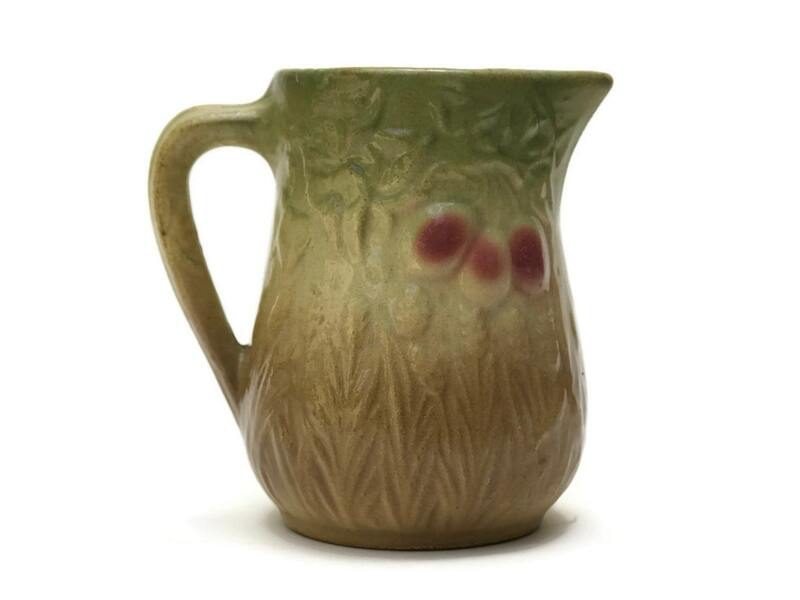 The small ceramic milk jug has been decorated in muted tones of green and brown with highlights of red. 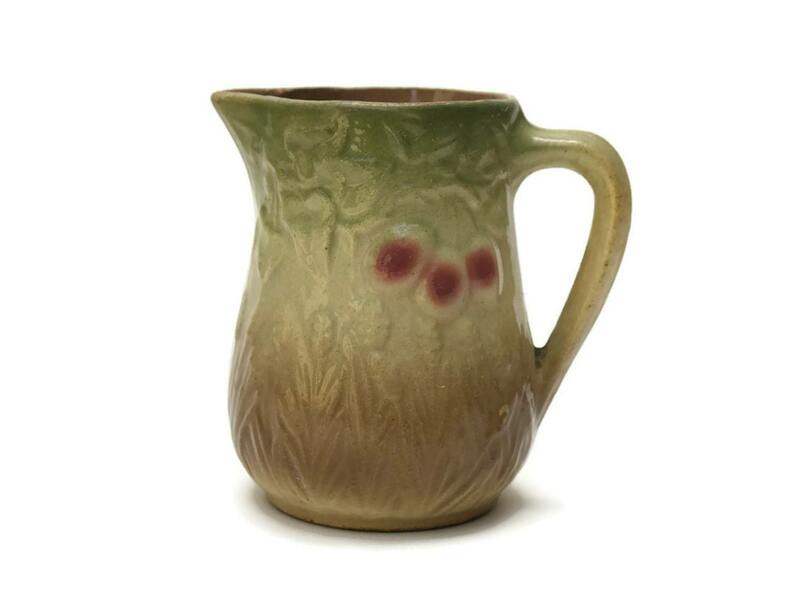 The creamer features a decorative relief design of plump cherries hanging between branches and leaves. 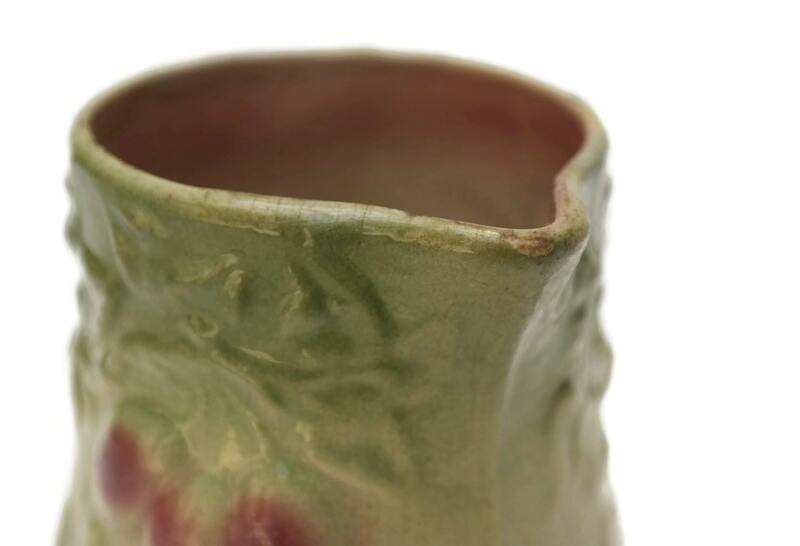 (11 cm x 8 cm). 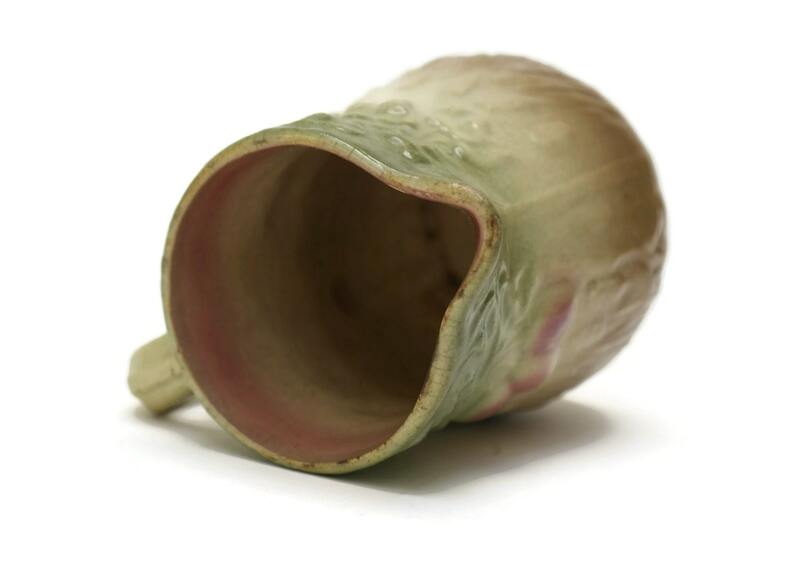 The ceramic creamer is in good antique condition with age-appropriate wear including small flakes to the glaze on the spout and fine crazing to the interior. There are no chips or cracks.